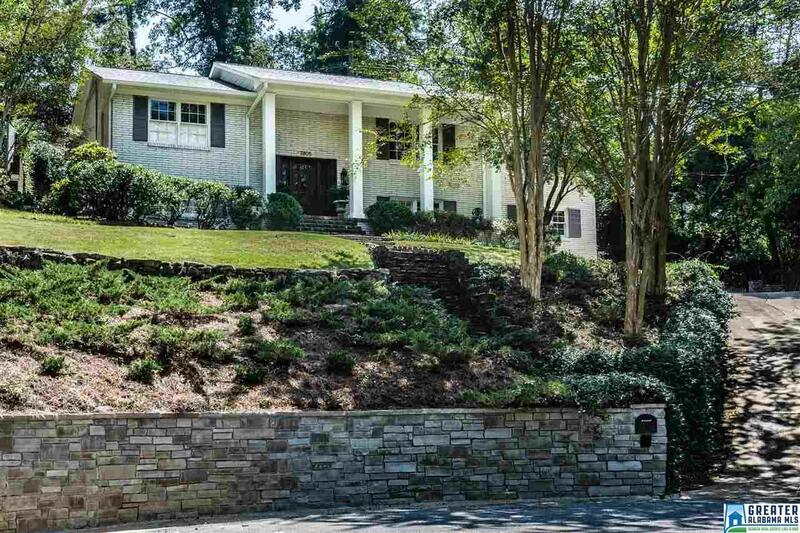 3805 Rockbrook Cir, Mountain Brook, AL.| MLS# 827008 | Richard Jacks UABLIVING.com 205-910-2297 | Birmingham AL Real Estate | Contact us to request more information about our Homes for Sale in the Birmingham AL area. BACK ON MARKET!!! Recently renovated MASTER BEDROOM!! Home has been updated & downstairs renovated, & is in a great location 5 blocks from Crestline Village! 4 BR&apos;s, 3 & 1/2 BA&apos;s & open floor plan that is great for entertaining & family life. Updated kitchen is open to the den & the sunroom. Built-in banquette with storage, stainless steel appliances, granite countertops, subway tile backsplash & built-in counter bar. Bar seating overlooks the den&apos;s wood-burning fireplace with flatscreen TV & could not be better for watching football this fall! Sunroom on main level that opens to the patio, large formal living & dining room for all to enjoy. Playroom downstairs has a kitchenette, bonus room, office or craft room. Brand new roof, refinished solid hardwood floors, new solid six-panel doors, new stone retaining wall & more. Special features include a fenced backyard, immaculate two-car garage & great closet/storage space!